The Ministry of Health (MOH) recently published fee benchmark guidelines for surgical procedures in a bid to contain exorbitant fees. However, the benchmark is non-binding, and the effects may not be largely felt for Raffles Medical Group. On the other hand, medical inflation is set to continue on its upward trajectory. 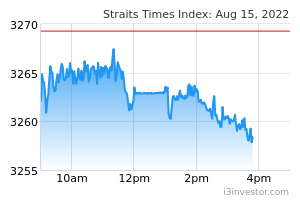 Maintain BUY with a revised DCF-based target price of S$1.30. The MOH recently published fee benchmarks for private sector professional fees with regards to common surgical procedures. The fee guidelines do not come as a surprise, as the recommendations had been initialised by the Health Insurance Task Force (HITF) report in 2016. The newly introduced fee benchmark aims to provide a reasonable fee range for professional fees, in light of rising bill sizes. The Fee Benchmark report noted that private inpatient bills grew at 9.0% per year (from 2007-2017) compared with 4.9% per year for Class A (public sector) inpatient bills. The development of fee benchmarks is part of the Ministry of Health’s (MOH) larger strategy to ensure that healthcare costs remain affordable and the healthcare system sustainable. The initiative complements other measures, such as the introduction of a co-payment requirement for new Integrated Shield Plan riders, and moving upstream in health promotion and disease prevention. The fee benchmarks serve as a common reference rather than a strict cap that stakeholders such as doctors and payers have to adhere to. Given the complexity of surgical cases, the fee benchmark covers a range of fees for each procedure. Patients are encouraged to use the benchmarks to converse with their doctor on their treatment and the fees charged. Medical providers are encouraged to take reference from the benchmarks to set appropriate charges and make reference to it when advising their patients. Medical inflation set to continue. According to medical trends reports from insurers Aon and Willis Towers Watson, medical plan costs in Singapore are still set to increase at a slightly higher pace in 2019. Medical inflation is still affected by macro factors such as shortage of facilities and capacity from an ageing population. Minimal direct impact from newly-introduced fee benchmarks. Reviewing some of the fee benchmarks, we noted that the new benchmark upper limits are approximately 5- 20% lower than the top bracket (75th percentile) of historically transacted surgical fees. According to Fees Benchmark report, professional fees for surgical procedures make up about 30% of an inpatient bill, or about 50% of a day surgery bill on average. Hence, other fees for facilities and implants still constitute a high proportion of bill size. In addition, the benchmarks only serve as a reference and we deem that its non-binding nature will limit any direct cuts in fees in the near term. Compared with its private healthcare peers in the market, Raffles Medical Group's fees are generally in the mid-range. Hence, any curbs to high medical expenses are unlikely to hit Raffles Medical Group proportionately. Raffles Medical Group's in-patient treatment and operations have also been subjected to peer reviews as well as clinical audits, and in our view, this helps avoid unnecessary procedures or treatments with excessive fees. Medical prices still fundamentally sound. While the curbing of surgical fees may have a slight impact on immediate billing size, other structural factors are still in play from Singapore’s ageing population, such as a shortage of facilities, higher government expenditure on healthcare, and more sophisticated medical equipment and treatments. Hence, we are of the view that the pricing fundamentals will remain strong in the long term. We tweak our 2019-21 earnings forecasts up slightly by up to 3.1% on the back of continual strength in medical prices. 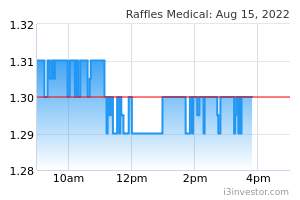 While Raffles Medical Group's share price has hit a one-year high, there remains some room for growth given successful execution of its China hospitals is a key catalyst for Raffles Medical Group.